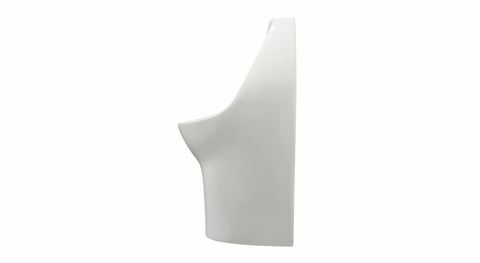 The Falcon model Flax is a vitreous china wall hung, wall outlet waterless urinal. It requires no flush valve or water supply and plumbs to standard drain connections. The Flax utilizes a replaceable sealed cartridge with bayonet locking features with O-rings. The cartridge is made of recyclable ABS plastic and utilizes a 100% biodegradable liquid sealant. Our patented cartridge helps keep your restroom virtually odor-free by reducing the area where bacteria can grow. Conserves water - no water used. Saves time and money - no flush valve maintenance, no water and sewer costs, reduced cost of cleaning. Provides a cleaner and more hygienic restroom - touch-free operation, odor-free, no water based reactions that cause odor, bacteria reduction. Maintenance and vandalism problems associated with flush valves are also eliminated. Each urinal can save approximately 100 000 litres of water annually. Reduction in use of cleaning products and chemicals. Reduces energy use associated with pumping water and sewage. Reduces demand on wastewater treatment plants. The cartridge begins full of liquid with a layer of proprietary biodegradable sealant that floats and the surface. The urine accelerates as it is funnelled down to a flexible spout where it is redirected out of the housing and into the drain pipe. 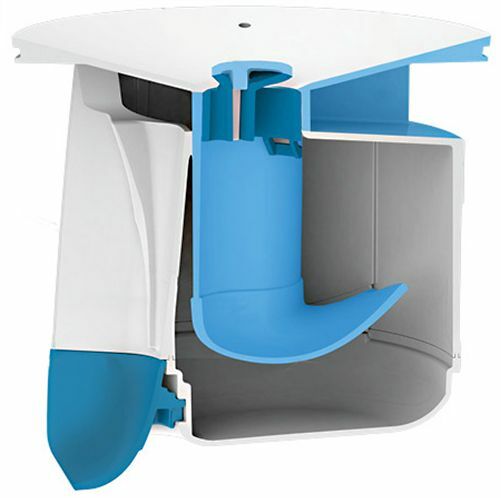 Its gravity fed design moves urine through the system without using or wasting any water, thereby saving 100% of the energy associated with traditional flush urinals. Saves money by eliminating the rising costs associated with water and sewage rates. Only daily maintenance steps required for normal use are a routine spray-and-wipe cleaning of the fixture. 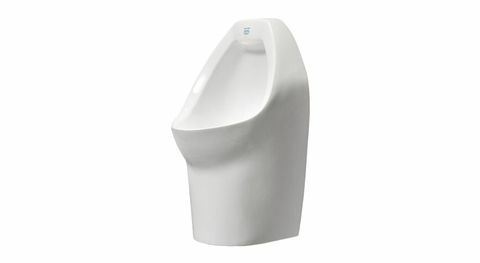 Installation of Falcon Waterfree urinals is less expensive than flush units as piping and flush valves are not required. 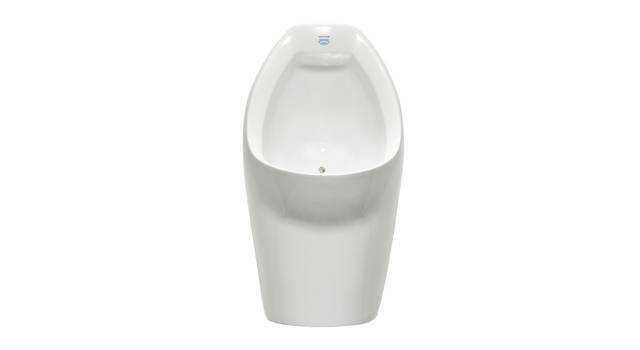 There's no need to flush since the urinals are touch-free, which virtually eliminates the spread of bacteria. The cartridge's air-tight seal combined with the patented external cavity and liquid sealant barrier are estimated to be 500 times more efficient at eliminating odor than conventional P-traps. Research shows that the Falcon Waterfree urinals have up to five times less bacteria than flush urinals.